I used this in a book years ago now can't remember what its called? So frustrating. Pike by Dave Farey from Panache Graphics. Pike! Of course, I knew it began with p, which wasnt much use :) Thank you so much. Good catch, Tecno. See my comment on James’ answer for the original. I don't know what the original was, but on my computer I have it as OPTI-Pacific Regular. I don't know whether you can still get this (legally or not, perhaps the question is moot for OPTI-CastCraft fonts...). There's also Beatnik for a narrower take on the same idea. Good finds, James! 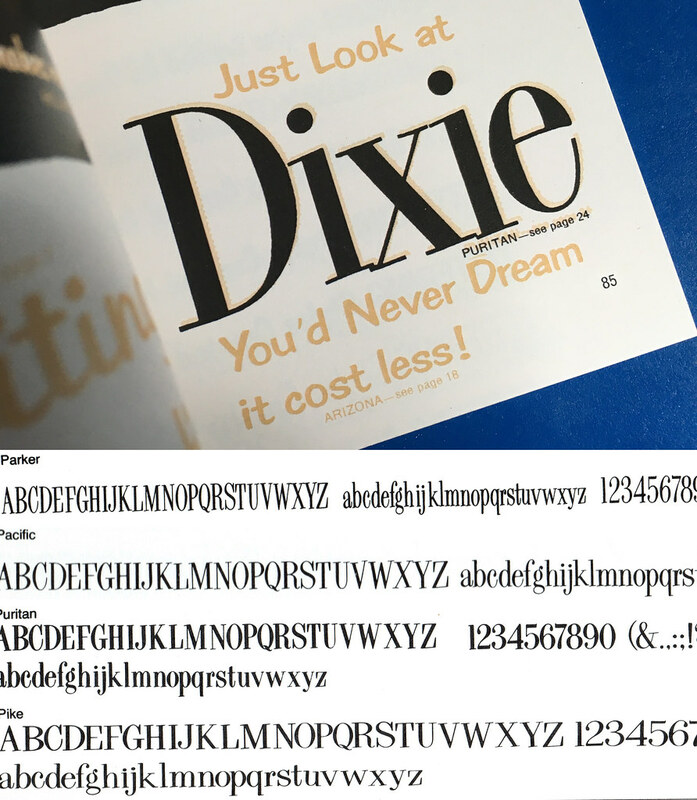 Despite what Alex Kaczun says in his Beatnik description, this appears to be the same design as OPTI-Pacific and Pike, which (like other Panache fonts) is probably a digitization of a phototype font. So I don’t think any of these are original and may have the same source.